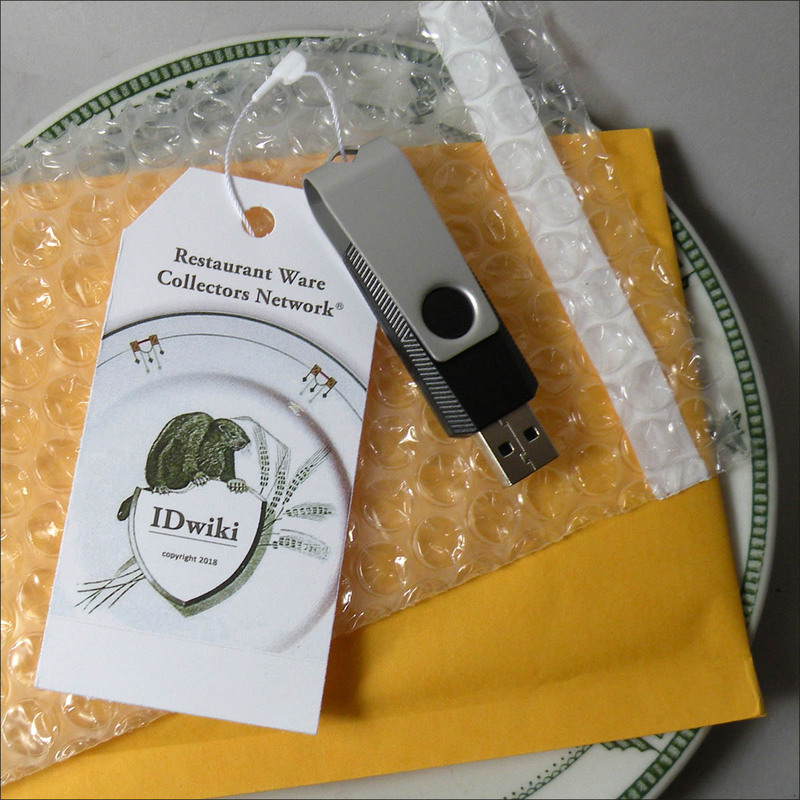 The Restaurant Ware Collectors Network was an online forum for 17 years. It closed in 2017 and many members have since reorganized as a Facebook Group. From 2006 to its end, a group of volunteers worked on an IDwiki for the site, compiling photos and researched IDs and adding them as entries. The RWCN's owner, Jackie Tromble, compiled the IDwiki, along with a wealth of other information that had been added to the site by members, and offered it for sale. She has now passed that responsibility on. We are selling it for the same price and still with free shipping (within the United States). A percentage of profits will be donated to an animal rescue group. Copies of vintage catalogs for seven American manufacturers. Please note that when you purchase this copy you are agreeing to the copyright terms: No copies or prints of any kind may be made of your USB drive for either sale or gift. It is strongly advised that you make one copy and keep it on your computer. This is a quick way to access the information and also to keep the drive itself safer from corruption. 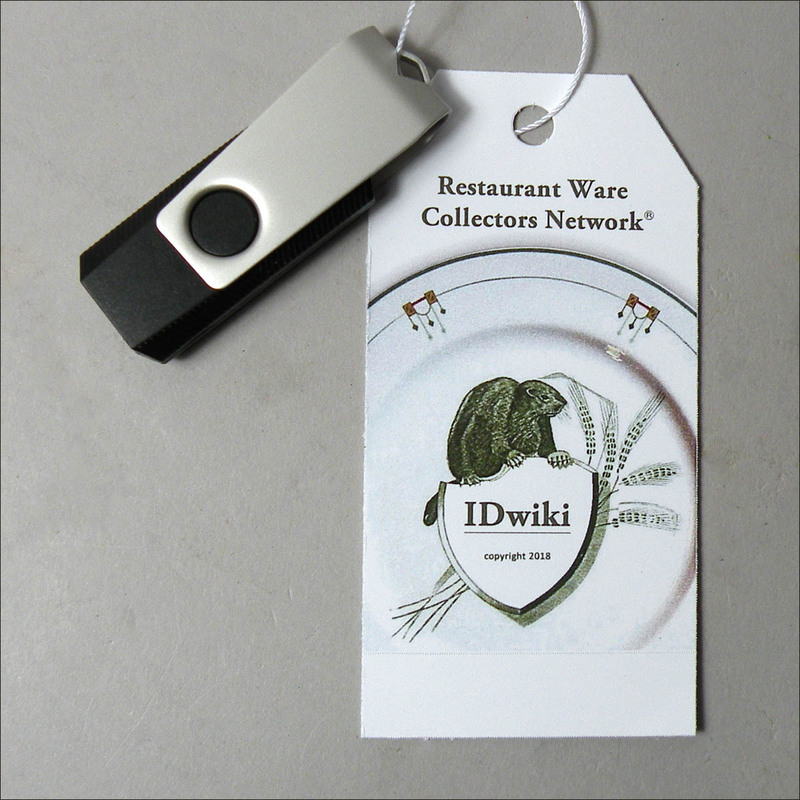 Limited warranty, instructions and limitations to your IDwiki copy are noted below. If you reside outside of the United States and want to buy a copy, please contact us. Your USB/thumb drive comes with a three-month warranty of the drive. If your drive fails within three months of purchase, for any reason, contact us for a replacement. If the drive fails after three months - and up to one year - we will charge $10 to send a replacement to those who have purchased the drive from us. 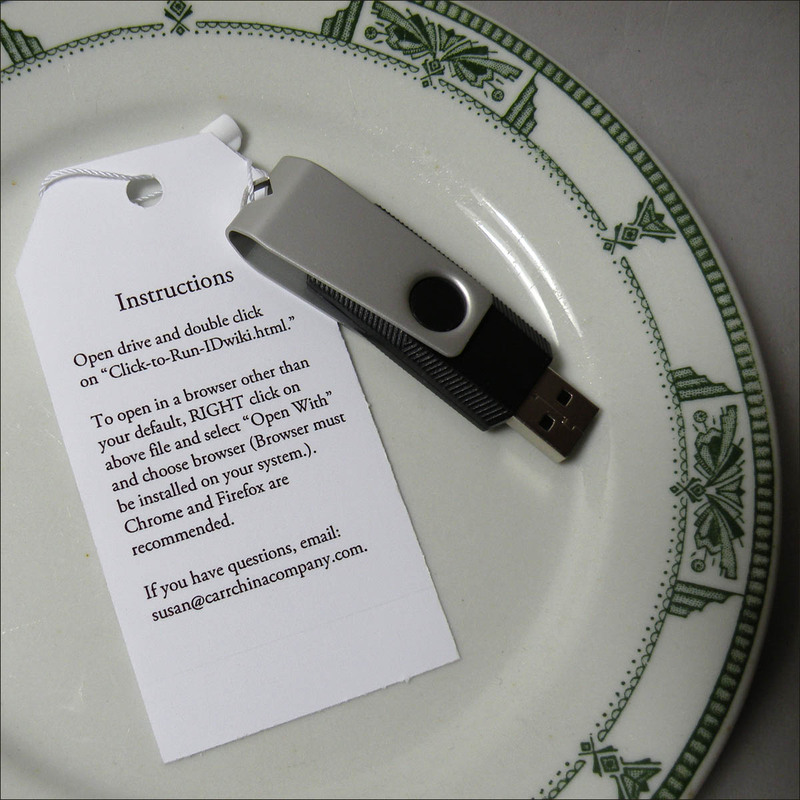 Instructions are included on the hang tag that comes with your USB drive. Open the drive on your computer and then double click the file called "Click-to-Run-IDwiki.html." If you have the USB drive inserted into your drive, be sure to click on the icon on your desktop that says: Safely Remove Hardware and Eject Media. Choose Eject Disk and wait for the message that it is safe to remove the thumb drive. Failure to do this can cause harm to the data and voids the warranty. The RWCN IDwiki is best viewed with Chrome or Firefox. If either of those is your default browser, it will automatically launch in your default browser when you click the html file mentioned above. If you would like to use it in a different browser, or for example, if your default browser is IE but you have Chrome or Firefox installed on your computer (highly recommended) then you RIGHT click on the "Click-to-Run-IDwiki.html" file and choose Open With and then choose Chrome or Firefox, depending on what you have installed. PLEASE NOTE: Your copy of the IDwiki is a static copy, which means that there is no search function like you are accustomed to on the old RWCN website. It is possible that some links to exterior websites contained within articles may no longer be active or may not be active in the future. If the exterior website closes or changes its links, there is no way for this copy to adapt. If you do encounter an exterior link and click on it, it will take you out of the IDwiki copy. Just use your browser's back button to return to your copy.